Once you have downsized your life and have more time on your hands you may want to get involved with researching your family history. Through research in genealogy you will become aware of local history groups amongst your community which could lead to an added interest and hobby. By joining a local history group you will meet like-minded people and share an interest in the locality. If you have only recently moved to the area you will find that joining a community group you will get to make new friends quickly and settle in your new home faster. These types of groups have social events as well as trips to places of interest. Your interest in genealogy could lead to you giving talks to local groups and becoming part of the community. Another popular group found in most towns and villages is amateur dramatics. You may not want to tread the boards yourself but may be able to help out with costumes, scene building, and box office duties or in the kitchen. With weekly meetings and rehearsals your life will be enriched with an enjoyable past time that not only takes up a big part of your new life but brings happiness & entertainment to those who attend the productions. Another form of community group is adult and further education. There may not be an adult education centre where you live but quite often schools, churches and community centres hold classes that cover many interests. Keep fit, dressmaking, languages, pottery and cooking are some of the most popular classes. Classes that could aid your genealogy and family history research are creative writing classes. By learning how to write about your family you will be able to present your research and possibly create stories around your family and their past lives. Your local library can also give information about local community groups and events. They will hold talks and run groups related to the local area that would interest both readers and non readers. Do not dismiss your library because you do not wish to borrow a book. Apart from lending out books there are so many other items that you can borrow ranging from videos, DVD's, CD's, recorded books and toys. 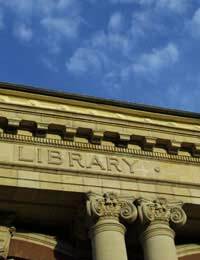 Libraries in small towns and villages may also be the meeting place for local councillors, MP's and the job centre. Some have the town's information bureau attached where you can speak to council officials or collect bin bags. When joining a new community you will be amazed at what there is available to further your knowledge of the locality and to meet new people. For the older person there are luncheon clubs and groups for the elderly where you can simply enjoy other peoples company or take an active part in organising events such as country walks, parties at Christmas and fundraising events. Never think that when you down size your life it will be quiet and boring; you now have the time to enjoy your life and the area you live in.